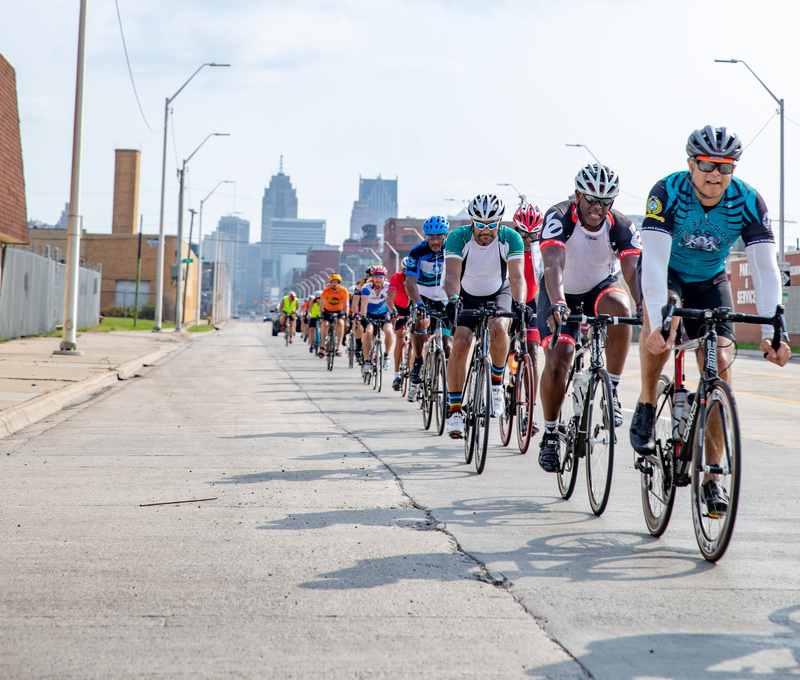 The 2019 Baroudeur, Wayne State University’s annual cycling event, will be held Saturday, Aug. 17, 2019. Registration is now open. Proceeds directly benefit Wayne State University scholarships and the university’s Helping Individuals Go Higher (HIGH) Program, which supports students whose unstable housing situations threaten their dreams of earning a degree. This year, participants can choose between four courses — 20, 37, 62 or 100 miles — based on their individual experience and fitness levels. All Baroudeur courses are on the open road, and cyclists will be riding with vehicular traffic and must obey traffic laws. Now in its fifth year, the Baroudeur will include route updates based on participant feedback. Event registration will end at 11:59 p.m. on Tuesday, Aug. 13. The Baroudeur is a fun, noncompetitive event, but the distances require increasing levels of physical fitness. 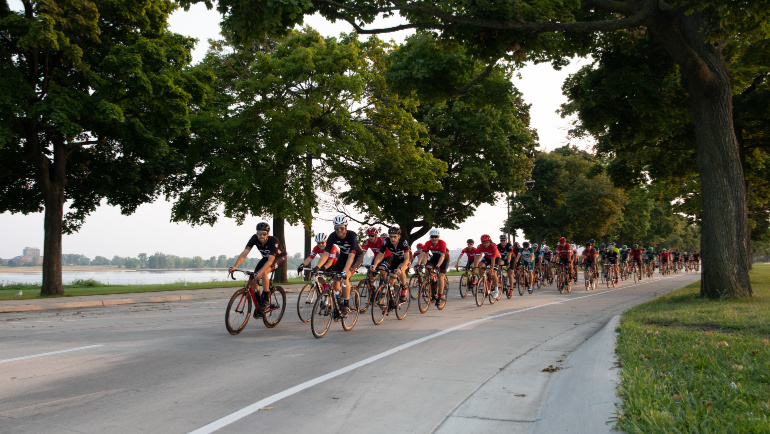 To help participants prepare, training rides will be held again this year at 6 p.m. every Tuesday evening, beginning May 7. Additional details about these free, no-drop training rides — and other ways to prepare for the Baroudeur — can be found online. On Aug. 17, participants and volunteers are invited to enjoy a post-ride party on campus with lunch, beer and music. To further support WSU students in need, a Warrior Funder page has been launched. Riders, as well as faculty, staff, alumni and other members of the campus community, can donate or raise money in support of student scholarships and the HIGH Program. Schools, colleges and units across campus are encouraged to fundraise as teams; funds can be directly allocated to specific scholarships. Last year, faculty and staff in the Eugene Applebaum College of Pharmacy and Health Sciences created a team — the EACPHS Diversity Scholarship Riders — and raised nearly $2,500 for the EACPHS Diversity Scholarship fund. To learn more, or register, visit baroudeur.wayne.edu.